Sridhar Krishnan is Catalent’s Vice President of Business Analytics & Excellence. 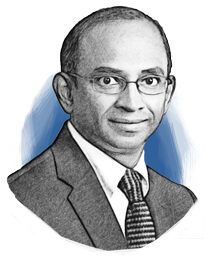 A veteran of over 20 years in Global Supply Chain and Operations, Sridhar Krishnan started his career at a large public sector defense organization, where he worked in R&D, Production Control Planning and Value Engineering functions. He then spent 14 years in Healthcare Operations at General Electric where he gained experience in multiple countries as a global leader. He has a degree in mechanical engineering from Bangalore University, India, and is a Certified Master Black Belt in Lean Six Sigma.